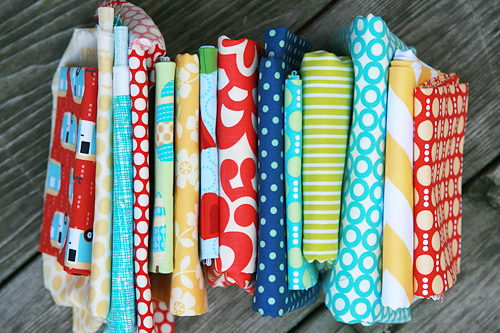 I just love designer Laurie Wisbrun's fabrics. I remember drooling over her Etsy shop a few years ago, and then being so excited when she announced she was going to be designing fabric for Robert Kaufman, starting with Tufted Tweets. When she asked me if I wanted to play around with her upcoming line Roughing It, I immediately jumped on the opportunity! 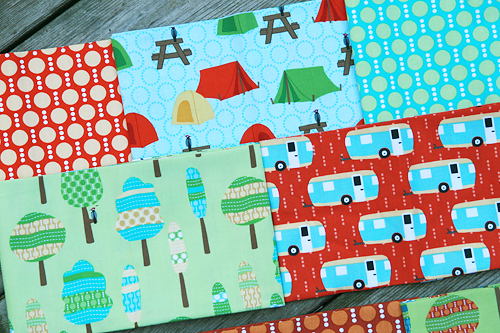 This adorable line is all about the outdoors - trees, campers (LOVE! 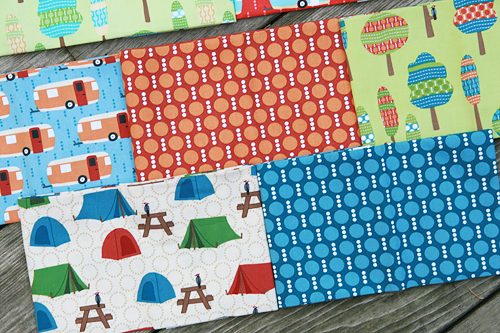 ), woodpeckers, tents, and a great stash-building dot print. 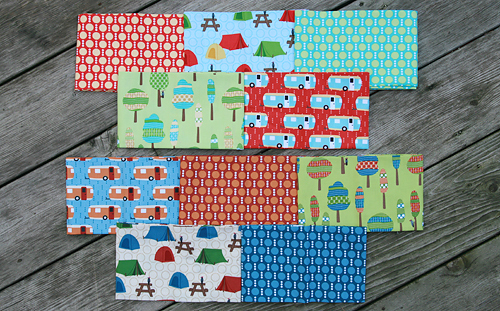 I've decided to work with the fabric in 2 sets. And have pulled some fabric from my stash. I can't wait to cut into it! Roughing It will be available this December, but keep an eye out on my blog next month. I just may be giving away a Fat Quarter Set!